Princess Melawesome and I love Korean Dramas! Through this we started listening to KPop. Most of KPop is not my cup of tea, but we loved Global Icon! I'm not going to say this is terrible. It's fine. But it's not the Global Icon Princess Melawesome and I fell in love with. Granted, it started as us thinking it was silly, cute, and kinda dumb. We watched it because it made us laugh. But Beatles and GI-Yeuk are so damn catchy. I don't know if it was the songs, their attempts as speaking English, their lyrics about dancing and getting into the music, their mid-90's Jonathan Taylor Thomas styles, or their Nickelodeon Slime sets that won me over, but I miss all of those things. 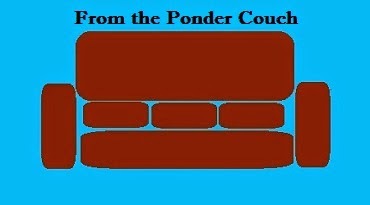 Just had to get it off of my mind and onto the Ponder Couch. Is the new song all about their butts? The video seems to be.